looks different than either imagined. Both in their eighties, Dodie and Wilson Binder celebrate every Christmas as if it were their last. This year, their grandson Micah is planning to ask his girlfriend, Katie, to marry him so they can celebrate with the whole family. But things go very wrong when she says, “no.” Now they are stuck. Too many people, too much snow, and too little room should be a recipe for disaster. But sometimes too much is just enough. Especially when it’s Christmas. 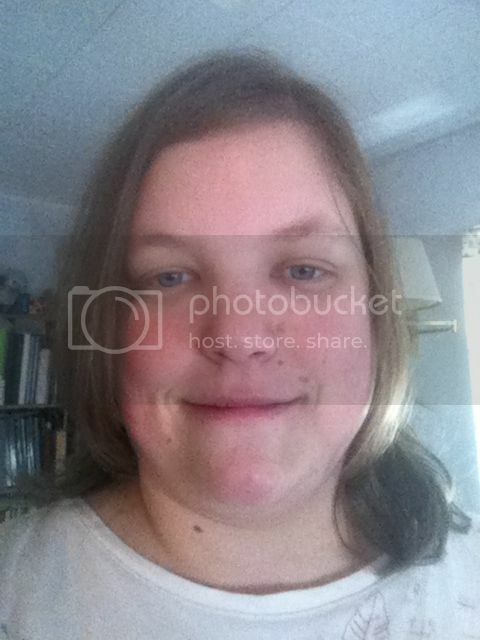 Connect with Cynthia at her website, on Facebook, and on Twitter. 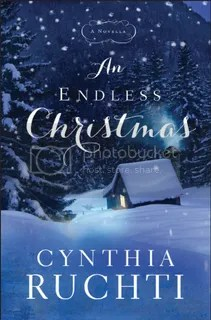 I love, love, love Christmas novellas even in the summer and I’ve read other Cynthia Ruchti books and her writing draws you in as you enter the characters lives, and while this is a novella, so it’s short, you feel like you’ve always known the characters. Dodie and Wilson Binder host Christmas at their tiny country house with all the children and grandchildren every year – it’s crowded and Katie, Micah’s girlfriend is relegated to the window seat in the living room. Micah asks Katie the question most young women want to hear, “will you marry me?”, but her answer isn’t one he or his family was expecting – and it’s all because of Katie’s ancestry. She’s scared she’ll repeat the sins of the past, so to speak. Join the Binder family as they explore Christmas and let go of their regrets from the past year (a neat idea that I think would be fun to add to our family’s traditions) and live each day and each Christmas as it’s their last. I won’t give away all the book but grab your tissues, a hot cup of tea or coffee, and cuddle up on your couch or bed and begin to get engrossed in a book that will leave you wanting to live every day like it’s your last – and not just live but love. A story of healing, redemption and love that runs deep and true – a perfect short book for the Christmas season. I highly recommend this novella to anyone who is looking for a book set during the Christmas season. If you’d like to see what other bloggers thought about this book please visit the Litfuse Landing Page. For readers who are tired of Christmas commercialism, or who feel that Santa Claus and reindeer don’t tell the whole story, these classic gems provide a winning alternative. Selected for their insightfulness, spiritual value, and literary quality (nothing moralistic here) they project the spirit of the season in a fresh, compelling manner that will resonate with readers of all ages – from children too young to read to themselves, to parents and grandparents who enjoy reading stories aloud. Home for Christmas includes time-tested favorites by some of the world’s most beloved children’s authors – Pearl Buck, Selma Lagerlöf, Henry van Dyke, Madeleine L’Engle, Elizabeth Goudge, Rebecca Caudill, and Ruth Sawyer – as well as little-known European stories appearing in English for the first time. 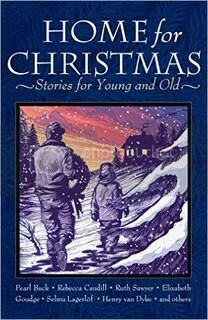 You can purchase Home for Christmas: Stories for Young and Old on Amazon. Christmas……it’s a favorite time of year for me, the mystery of the Lord’s birth, the shepherds, the wise men, stars and all that comes with it. I tire of the commercials that scream, give me, give me, give me and the even less said, thank you. I sat down to read this in the summer and thought it would give me some peace and have me looking forward to the upcoming Christmas season that was so dear to me. With authors like Pearl Buck, Madeleine L’Engle and others one would expect this to be a high caliber reading of Christmas stories that one could indeed read to their children as well as maybe in a Sunday school setting, and some of the stories were that – some were quite good and pulled me in such as “Brother Robber” by Helene Christaller or “The Guest” by Nikolai S. Lesskov but some well, left me disappointed and skipping the entire story. There were two stories in the book that used the liberal usage of d*** and h*** and I promptly quit reading those, I don’t care to use the language in my speech and therefor do not care to read it either. If you want to read this book to a younger audience I would definitely suggest pre-reading it and marking which stories are appropriate. Also of note for some of my readers there were a couple stories where the ‘bad’ people were drunk and/or drinking. Also, I want to say some do revolve around the Roman Catholic faith in which some ideas are strictly not Biblical (in no way saying Catholics aren’t Christian but there are so theologies I disagree with) such as works based salvation, Jesus showing up in a cottage to play a game of chess and statues of Mary and Jesus bleeding. 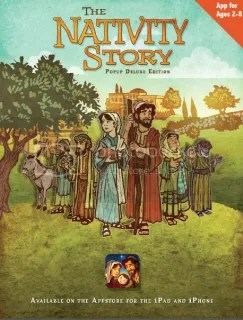 While there were a few stories I enjoyed, overall this is not a book I would highly recommend – especially if you’re looking for something as a family read aloud or to read in church – unless you do a lot of heavy editing. I enjoy tales that are almost forgotten and I do enjoy a good European author but this was not what I was expecting for Christmas stories, I wanted a good, theologically sound tale and most didn’t offer that even if a few did. 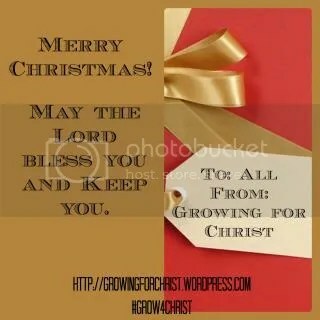 May you have a wonderful Christmas and remember the reason for this season. Merry Christmas from my family and I.
Rediscover the simple joy of wonder! What started as a simple, late night stroll to clear his head from the hassles of the season turned into something that can only be described as…real. Al Andrews is the director of Porter’s Call, a ministry to recording artists and their families in Franklin, Tennessee. He devotes 100% of the profits of his children’s books to charities that aid children in crisis and inner city initiatives. It’s not often that a small, 96 page book can affect me the way this one did but I’m glad it did – I read it in about 10 minutes and each of those 10 minutes were deep and moving and all about Christmas. A man, starts out on a walk on a cold, snowy night, needing to clear his head because of all the stuff that fills his days not to mention the crowds, the hurry, the lines that accompany what the world thinks this time is all about. So he sets out, the simple illustrations depict him walking his neighborhood with some twinkling lights and he comes upon on a Nativity Scene. You know the one, a beautiful Mary clothed in blue, an older Joseph dressed in brown, a smiling babe depicting Jesus and of course the requisite shepherds and wise men. Then a whisper comes…..
Now we all know that inanimate objects and statues don’t talk but what if they could? What would Mary say? What about Joesph? The Angel? Baby Jesus? Would Mary remind us it’s not about her, it’s not about her being venerated, that she has absolutely no idea how to be a mom? Would Joseph remind us that Jesus is not his blood child, that he is poor, that he has absolutely no idea how to be a parent? Would the wise men tell us they didn’t see Jesus until he was a toddler? Imagine. That is what this book does – it makes one ponder the reality that we have been shown and the reality that is real – we don’t see Mary as she may have looked, as we looked just hours after giving birth, the shepherds joy as they look on the Savior. 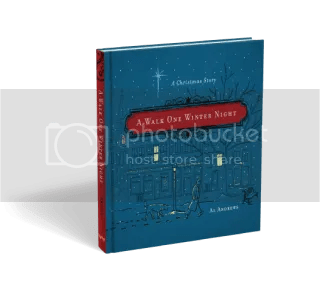 A Walk One Winter Night is a great little book in gift book size 5.5 inches by 5.5 inches and sells for $14.99 and it’s a great little book to read with your children as we ponder this miracle that we are about to celebrate. These heartwarming stories set during the holidays in the years between 1906 and today will rekindle the reader’s own memories, giving perspective to the present and hope for the future. 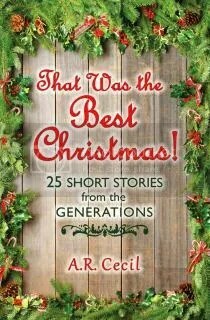 Each short story is set amidst historic events when people came together and found opportunities to exchange the true gifts of Christmas: kindness, encouragement, forgiveness, peace, hope, belonging, and more. The main character of each story is a boy or girl, man or woman whose heart opens to give or receive love, bringing personal transformation and causing them to always look back and say, “That was the best Christmas!” Each story is penned by A.R. Cecil with a gentle twinkle in her eye, giving the reader delightful twists of plot and humor and revealing Mrs. Cecil’s warm understanding of human relationships–with each other and with the Creator who sent his Son that first Christmas Day. A.R. 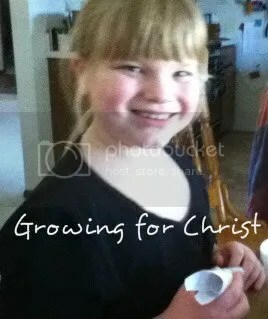 (Alice) Cecil writes from her heart and experience as a mother, grandmother, teacher, and follower of Christ. She earned a MSFA (Master of Science in Fine Art) from the University of Wisconsin-Milwaukee. 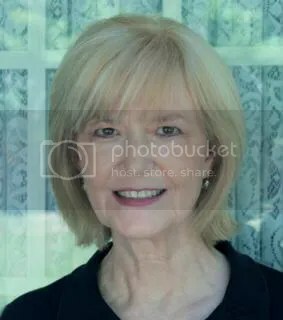 A former third-grade teacher, she has been writing for many years. 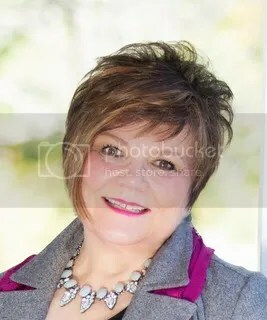 Her published works include Journeys to Mother Love: Nine Women Tell their Stories of Forgiveness and Healing (contributing author) and In that Place Called Day: Poems and Reflections that Witness God’s Love (a collection of poetry). Alice and her physician husband reside in Louisville, Kentucky. They enjoy traveling to visit their four children and four grandchildren where they live in various parts of the world. All my life except for the four years that my husband and I spent in Wisconsin, where Joe did his internship and residency, and then two years in Virginia. After that we returned to our home state of Kentucky and have lived here ever since. Kentucky suits us very well. It offers the four seasons, as well as rolling hills and trees. While not in the Deep South, there is a southern atmosphere; people are friendly and take time to relate to one another. I believe this is God’s timing. God has been (still is, of course) working in my life – preparing me, teaching me, and allowing experiences that mold me. All of my work to earn that degree was in studio painting (large canvases were dabbed with paint from a rag). But God had a plan. I have always been a person who enjoyed the arts. As a child, I put on plays in the basement. As a young adult, the visual arts were my way to express ideas and emotions, because I did not have enough life experience and maturity to be a writer. The journey from painter to Christian writer could have only been orchestrated by God. After receiving the degree in the visual arts, Joe and I started a family. When the children were very young children, I read children’s books to them all the time (I would recommend reading children’s books aloud to any aspiring author because it is a good way to develop the rhythm of writing). As a result, I came to appreciate children’s literature. So, I wrote some of my own books and illustrated them. 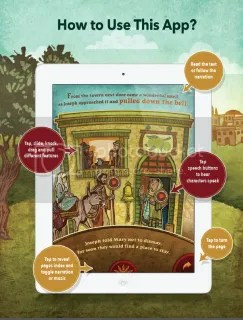 Soon, the small bits of text that ran across the pages of those picture books grew and grew. From those exercises, I grew as a writer, which led to writing a newspaper column. The desire to incorporate God’s Word into my writing made me realize I needed to obtain a clearer understanding of theology. I was led to seek out mentors. And I found inspiration from Christian writers like Martyn Lloyd-Jones, Watchman Nee, Oswald Chambers, and C.S. Lewis. The ideas are a result of an interest in addressing some aspect of the human condition with God as the answer. The characters then flow out of that germ of an idea, and the setting is determined by the characters themselves. It was a blessing that most of the stories just flowed: “Christmas Reborn,” “Two Plates Short,” “The Button Jar,” “Three Flights Up,” and “Emma in the Middle” are examples. The hardest story to write was “The Vow.” As I explained above, the story started with an idea. In this case, a watch that had stopped for many years, and then started again, represented someone whose relationship with God had “stopped” for many years and then also started again. For a long time I envisioned the main character as a woman. 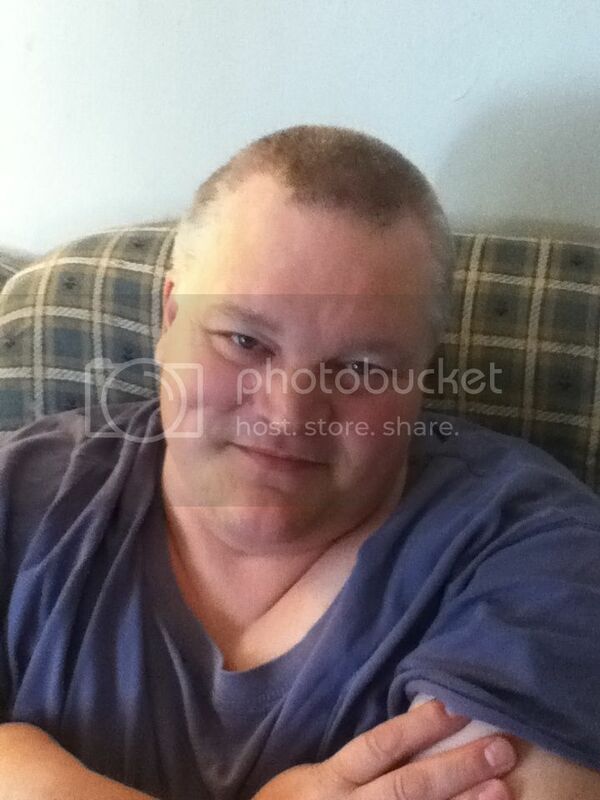 Then I decided the story would work better with a man as the main character. It was important that he isolate himself from his family, so there needed to be a reason for him to move away. To establish a fine balance regarding his character, I let him be self-absorbed but not unfeeling. The story required a deadline, a sense of urgency, in which the main character would need to make a decision to change or remain the same. Then, in order to show his changed heart, I let him communicate with his editor. Lastly, to keep the story from sounding preachy, an indirect approach was used. Work first on your relationship with Jesus Christ. We never “arrive”; the process is ongoing. Pray to know God’s will for you as a writer. Find Christian authors who inspire your walk. Write every day, if at all possible; writing is a discipline that requires practice. Don’t become discouraged. If you enjoy writing, then write. My husband has said to me many times, “If writing is just for building you up in the Lord, then it has served its God-intended purpose.” Enter into fellowship with other writers. It’s a joy when you can find kindred spirits. While writing is a solitary activity, it is best executed in an atmosphere in which we are able to share. For example, the poetry book that I just published had four Christian readers and a Christian proofreader. I cannot imagine writing that book in isolation. The input from those dear ladies was very meaningful, and I have had a great deal of enjoyment in fellowship with them. 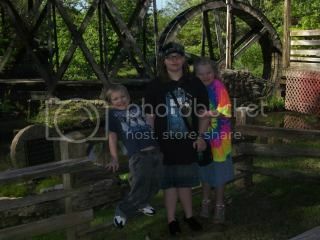 I can be found as a contributor on the blog, http://www.JourneysToMotherLove.com. To see all my published writings in one place, go to http://GreatFishBooks.com. I’d love to hear from my readers – email me at: inagreatfish(at)gmail(dot)(com). Within these 176 pages you’ll enter a world that has gone by and is often forgotten with the generations past – stepping first into the year of 1906 and a little girl who needs assurance that her dad loves her after losing her mom. Travel through the years up through 2013 and read story after story that will hopefully re-ignite the Christmas spirit and reassurance as to why we Christians celebrate this holyday. With each story I was either laughing or crying or a mixture of both – I could see my Grandparents in some of the stories and of their Christmases gone by in times of the Great Depression and Wars and I also had flash backs of wonderful Christmas memories growing up and now, as I watch my children grow. There is one story a day that can be read aloud to children and start a new family tradition as you reflect, as a family, on the morals and the truths that abound. Each story comes with a corresponding Bible verse that families could memorize or just use to reflect on each day leading up to Christmas. I plan on re-reading this again beginning on December 1st but this time it will be with my children and we’ll read one a day and talk over the Scriptures and what they can learn from the stories of today and of those gone by. Also noted are the stories that are best suited for girls – even though I have a son we’ll just read through them all and go in order, because I’m a chronological type of person. I look forward to reading this book with my children and who knows this may just become another treasured family tradition. By the way: You can enter to win a copy of this book by visiting Cladach Publishing! Go, enter! 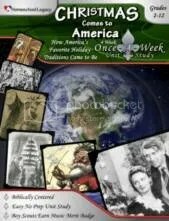 You can purchase Christmas Comes to America from Homeschool Legacy for $17.95 and it comes in printed form, shipped to your house. 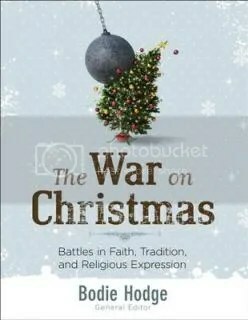 You might remember seeing me having done a review for a similar study titled Knights and Nobles, also put out by Homeschool Legacy but if you don’t I’ll just say we enjoyed it, so when Homeschool Legacy contacted me about reviewing Christmas Comes to America I eagerly accepted the offer. My one favorite item to note with Homeschool Legacy is the fact that their unit studies also incorporate American Heritage Girls (Boy Scouts as well) – meaning that as the girls work on the work in the study they can also be working on badge requirements. For Christmas Comes to America my daughters will be able to finish their Music Appreciation badge very easily, which also makes my life as mom and AHG Unit Leader easier, they only have to complete the two optional requirements on their own. So, what you may ask is covered in this unit study? The first week you’ll be studying the Dutch, the 2nd week the English, the 3rd week the Germans and the 4th week is An American Christmas. Once-A-Week Unit Studies are just as the name suggests, meant to be used once a week for a period of 4 weeks – however if you’re like me, you can tweak it – this isn’t a ‘you have to do it their way or it won’t work unit study’ – and it isn’t just for those in AHG or Boy Scouts, any homeschool family can use (or those families who want something to do during school breaks). Basically, it’s laid out that on Monday and Tuesday you’ll do your regular school work and add in the Unity Study reading and the Family Read-Aloud, then on Wednesday you’ll eliminate the regular studies opting to do the family devotional, the reading and the activities with Thursday being like Monday and Tuesday and Friday doing the “3 R’s”, the read aloud, field trip and family movie/game night. I’d like to think I’m the queen of tweaking, but then again maybe not, but I tend to tweak to fit our family’s schedule with only doing school four days a week. In keeping that in mind I chose to break up the week and include a little bit from each day through out our four day week – which added a little fun to our day. Given that I’m using this way before Christmas and even before Thanksgiving, I picked what we could do now and will re-visit it again when we add in the AHG activities as well. I also appreciate the only prep work I need to do in advance is getting a couple books from the library, of which Sharon Gibson outlines in alphabetical order and gives you the call numbers! Also I make sure we have the supplies listed at the beginning of each week, which are either on hand or inexpensively and easily obtained – such as for the 1st week you’ll want an inexpensive Christmas mug (you can find these at a dollar store) and cellophane bags (our craft store sells these for dirt cheap) as well as ingredients to make hot cocoa mix and marshmallows. Each week you’ll cover a range of subjects such as Bible, History, Geography, Language, Culture, Life Skills, Music, Research/Field Trip, and some unit studies also include science, math and other subject areas. The other great thing is, if you have children in different grades like I do, in 6th, 4th and 2nd – they can all work together on the same thing at their own levels or you can omit items for the younger children if that works with your child. I like what it says in the book that “Once-a-Week Unit Studies help you build relationships while making family memories” – it’s the truth, since it’s all laid out for me, the teacher, I don’t have the stress of having to plan everything AND search for books AND videos AND activities and this aids in me being more laid back and not as apt to yell to get school work done. Now for my friends who prefer to avoid Santa, Saint Nicolas or any of the typical American Christmas stuff I will say that you will study these and Christkindl who are presented as gift givers. That being said – we did use to do the Santa thing but my children have wised up and we decided to not continue with that – but we have no issue in discussing and studying the people or fictional characters in light of history and our Christian faith. Some field trips aren’t an option – we could visit a tree farm but since we don’t use a live tree we couldn’t purchase one to bring home – again this is where tweaking comes into play, if you want to figure out another option that works for your family. There is an end of the unit study activity which is called “decorate an After Christmas Tree for the Birds” but I won’t give away what it is because we haven’t done it and I want you to enjoy this unit study as much as we have so I hope that teaser gets you to buy your own copy! I must apologize for the lack of pictures – I’ve been so busy that I forgot to take pictures of us working on the study – so when we go back and do more I’ll update or do a whole other post about it! 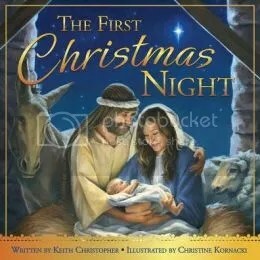 I’m a sucker for books surrounding the true reason why we celebrate Christmas and The First Christmas Night was one book that I couldn’t pass up! It’s lyrical prose wraps one in a comforting story about Christ’s humble birth but who will ultimately bring Salvation to mankind for those accept His gift. Enter the stable as Mary lays eyes on the King for the first time and like all moms counts his fingers and toes and love overwhelms her as she ponders and treasures all these things. Even though as adults, we know that deep down Mary had to have some fears at first – what new mom doesn’t worry what will happen during birth and in rough circumstances no less? We also know that the Wise Men didn’t arrive until Jesus was older, but regardless this will make teaching young children about that first Christmas special and illuminating the actual Biblical text of that one Child who was given from God. The illustrations aren’t whimsical or child-like, they are quite realistic and one can imagine themselves staring into Mary, Joseph’s and Jesus’ faces as they look upon each other. The bright star actually seems to jump from the pages and light up – which is a wonderful job from the illustrator, Christine Kernacki – that she bring that light and make it so real. The price is $16.99 but this beautiful hard cover with dust jacket book has a price that is far beyond that – if parents can begin in teaching their children the Gift that was given us at a young age then this book is priceless and I’m happy to add it to my bookshelf for all of my children. Even though the age range says 4 to 8 all three of my children ages 11 years and down enjoy this book and it’s illustrations. At the end of the book the Scripture from Luke and Matthew are written out so that all the wonder of Christ’s birth can be read as it’s written in the Bible. Okay, it wasn’t really a party but it was still fun. 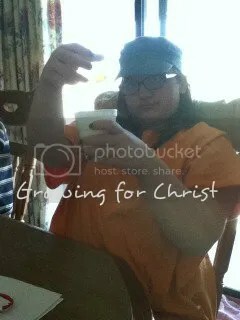 The children and I went over to a friend’s house last Friday and made mini pizzas, made some Christmas ornaments and the children played Wii and ran around outside. It has been unseasonably warm and it was up near 60 so we go to enjoy the sunshine and exercise. Hannah adding and swirling the mop and glo around the glass bulb. 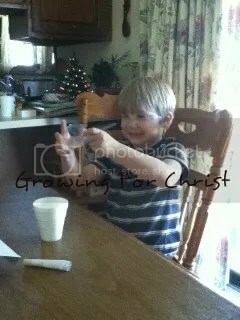 Christian swirling his solution in his bulb. 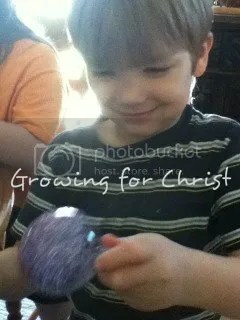 Christian swirling the glitter inside the bulb. Bethanne with the funnel Hannah made to add her glitter. 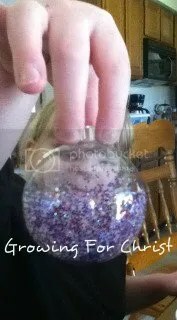 Bethanne’s bulb with glitter added. I’m very grateful to my friend for having us over and supplying the food and crafting supplies – she also supplied the hedge trimmers to free my daughter’s from the ditch when they got ‘attacked’ by thorns.